1 A None No Power Seat 1 A has an exit door that may protrude. 1 C None No Power Seat 1 C is designated by Air Canada as a Preferred Seat. An extra surcharge must be paid to reserve this seat. Elite level members in Air Canada's Aeroplan program may reserve this seat without charge. 1 D None No Power Seat 1 D is designated by Air Canada as a Preferred Seat. An extra surcharge must be paid to reserve this seat. Elite level members in Air Canada's Aeroplan program may reserve this seat without charge. This seat has extra legroom that is somewhat limited by the rear-facing seats in front. 1 F None No Power Seat 1 F is designated by Air Canada as a Preferred Seat. An extra surcharge must be paid to reserve this seat. Elite level members in Air Canada's Aeroplan program may reserve this seat without charge. This seat has extra legroom that is somewhat limited by the rear-facing seats in front. 11 D None No Power Seat 11 D is a standard Economy seat, however, the proximity to the galley may be bothersome. 11 F None No Power Seat 11 F is a standard Economy seat, however, the proximity to the galley may be bothersome. 12 A None No Power Seat 12 A is a standard Economy seat, however, the proximity to the galley may be bothersome. 12 C None No Power Seat 12 C is a standard Economy seat, however, the proximity to the galley may be bothersome. 12 D None No Power Seat 12 D has reduced space. The proximity to the galley may be bothersome. 12 F None No Power Seat 12 F has reduced space. The proximity to the galley may be bothersome. 13 A None No Power Seat 13 A is a rear-facing seat. The proximity to the lavatory may be bothersome. 13 C None No Power Seat 13 C is a rear-facing seat. The proximity to the lavatory may be bothersome. Complimentary snacks and drinks are provided on most flights. There are 26 of this aircraft type in the Air Canada fleet - operated by Air Canada Jazz. None of the seats on this aircraft recline and there is only a limited inflight service as these aircraft typically operate only short haul services. 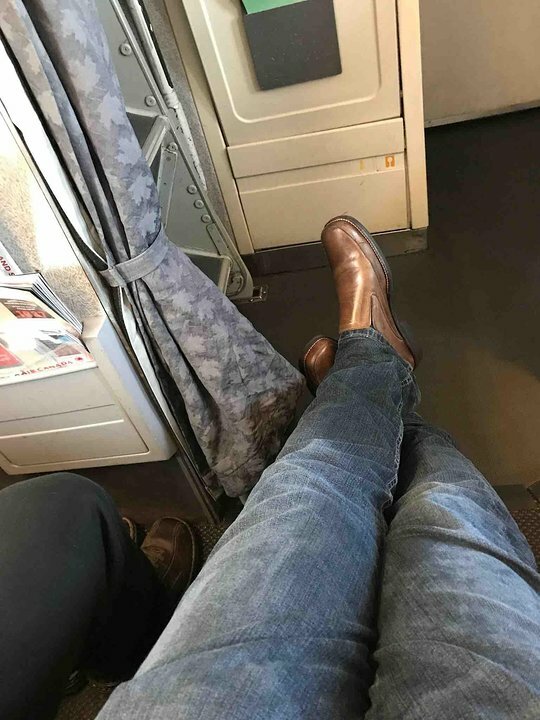 1C has by far the most leg room - I'm 6' and was able to fully extend my legs. 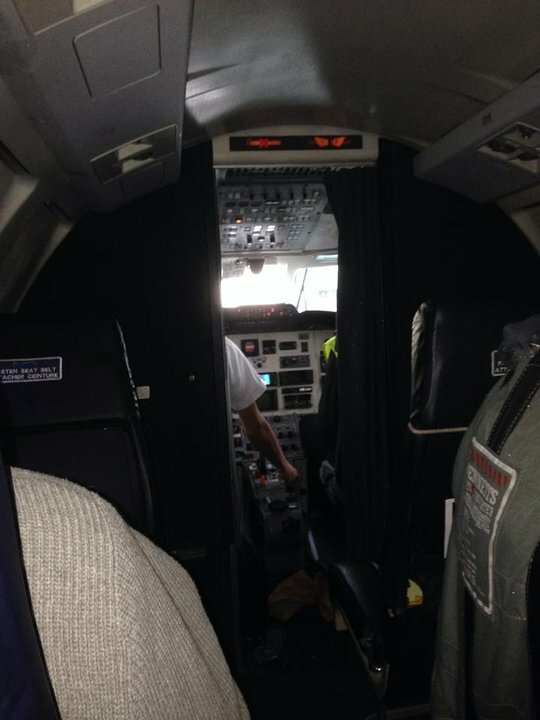 Not a very nice plane, but if you have to fly it, that's the seat to get. Avoid 13AC and 1DF at all costs unless you like someone else's legs in your lap. Flew in December of 2015. Had seat switched while at gate due to another customer wanting to sit with their parent (I had no issue). Only later did I find I was sitting facing directly at two other passengers (and with no under seat storage). While we all had some laughs during the flight, I found the plane very noisy and shaky (every vibration could be felt during the flight). Also, being a winter flight and being at the very front near the exit, it got rather chilly. Would certainly not recommend paying extra for any of these four seats. I can't see how AC can charge extra for these seats. The best seat I saw was 1C, the guy in it was completely stretched out with nearly unlimited legroom. Seats 9F and 9A are the best on the plane. You have a perfect view of the landing gear. And let's face it, that's the main reason people fly on this plane to begin with. Not too noisy at all too. Do not sit in seat 13 A or 13C. Though you are at the front of the plane with easy access, you have to awkwardly stare at the people in 2D and 2F, and basically everyone on the plane gets to stare at you the entire flight. I flew in this seat July 21st 2014 from YVR to YXC on a 1 1/2 hour flight and didn't really enjoy it. Sit close to the front, but not in row 13. 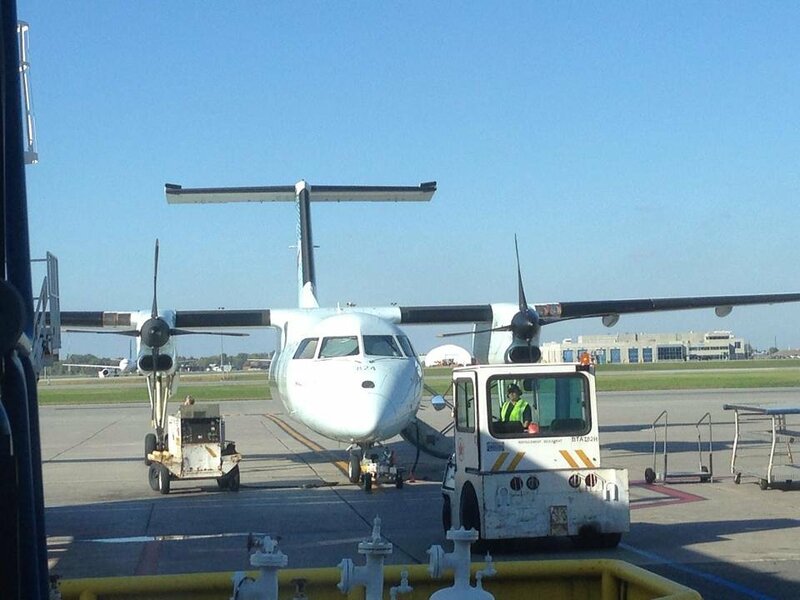 Air Canada flies 1 versions of de Havilland Dash 8-300.